It's no secret that I'm a bit of a silhouette fanatic. I think I may have talked about it a bit here and there on the old blog. ;-) So given that it's the jolliest season of the year, I thought it would be fun to create a reindeer silhouette. And due to the popularity of deer heads in decor right now, the fact that a reindeer and a deer look virtually identical, means that this little bit of holiday goodness can easily translate to year-round decor. My holiday palette this year is basically silver, white, green and black. So the colors I chose for my reindeer might not look holiday-ish to you...but that's all the better if you want to use it year round...and keep in mind that it can be translated to any colors you wish. adhesive vinyl in a the color of your choice. 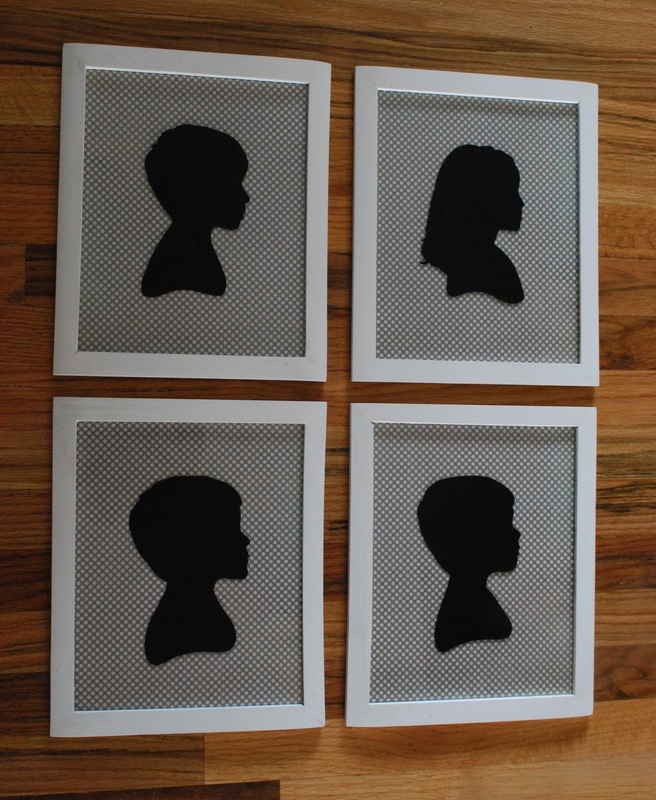 I basically followed the same method as I did to create the silhouettes of my kiddos with a couple of minor tweaks. First of all, I didn't have any photographs of a reindeer head to go from, so I found a picture that I liked online and freehanded the silhouette onto a piece of paper. 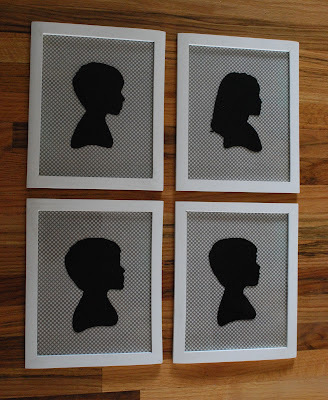 I realize that the idea of freehanding a silhouette might be nervewracking to a lot of people...so for those of you who feel this way, try following the instructions from my kiddo silhouette post. After I got the silhouette looking the way I wanted it to look, I cut it out. Then simply traced it on the backing of my adhesive vinyl and cut it out again. Then just stick that cute reindeer right on there. That's it. 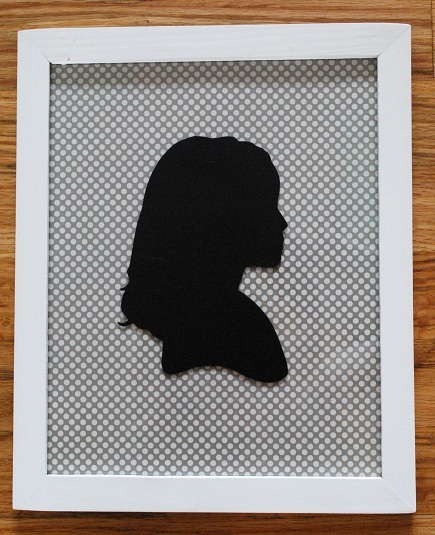 Of course, you could also do what I did with my kiddos silhoeuttes and purchase an empty frame...then stick the silhouette onto the glass. ooh i love it! love the modern take on it and the graphic look and colors! if you were my neighbor i'd sneak in & "borrow" that!i LOVE it!!!! having technical issues...Anyhow, that is super stylish, creative, and fun...sets the stage for your color scheme. Lovely. thats awesome... you should make and sell more of the reindeer canvas! I love everything about it! Ooooo...what a great idea. Festive but not in an "in your face way". Love this fun idea! I always move the furniture around to make room for the tree and am needing something for my "christmas living room" - Thanks! Love the silhouette! What a fun graphic way to add some Christmas cheer to a mantel. Thanks for sharing. What a cute project. I see deer heads everywhere on design stuff but I just don'd like them, this one is the best so far. can you just mass produce everything you create! it's absolutely darling! !